Barry Hawkins will meet Ricky Walden in the last four of the Players Championship after the pair came through their quarter-finals. World number eight Hawkins held off a comeback from Ding Junhui to beat the Chinese player 4-2 in Manchester. 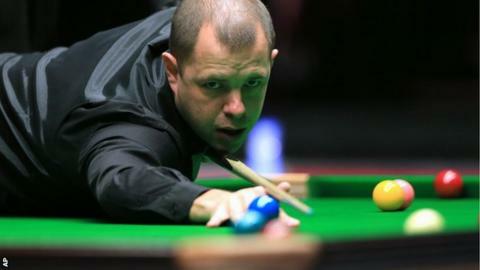 Walden made century breaks in the first and third frames before easing to a 4-1 victory over Ali Carter. Mark Allen was also a 4-1 winner, over Mike Dunn, and faces Shaun Murphy, who edged past Ben Woollaston 4-3. NB: Clocks go forward one hour on Sunday, 27 March at 01:00 (1am) to mark the start of British Summer Time (BST).